The global presence and local responsiveness of Hyster-Yale is supported by a carefully constructed network of component parts suppliers. Our supply-chain partners represent large international material handling equipment suppliers as well as smaller specialized providers of parts and services. All Hyster-Yale suppliers, however, must meet the stringent requirements spelled out in our Hyster-Yale Supplier Quality Manual and are verified by our globally based Supplier Quality Engineering (SQE) team. Through Hyster-Yale’s SQE Team, we are able to assure the highest quality is maintained throughout the supplier relationship before, during and after each supplier is selected. The SQE Team consists of engineers with extensive aerospace, automotive and materials handling expertise. They are continuously evaluating our supply-chain’s ability to provide Hyster-Yale facilities with the parts and services needed to meet our high-quality expectations. Hyster-Yale is also involved in on-going efforts with our suppliers to help improve their new product readiness, distribution processes and their ability to operate with greater environmental responsibility. These productive relationships allow Hyster-Yale to deliver finished products that are high in quality and strong on value while being environmentally sensitive. 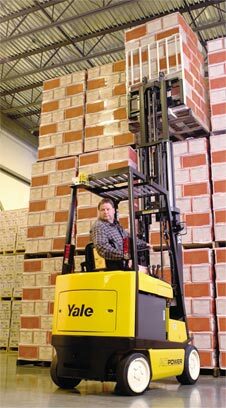 Hyster-Yale is always looking to add qualified and dedicated companies to our global supply network. If you would like to explore opportunities to partner with Hyster-Yale, please complete our contact form at the bottom of the Contact page.